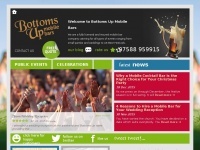 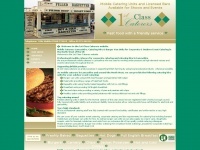 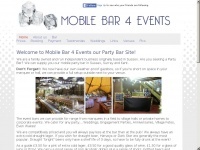 Bars2u provide a range of mobile bar hire services to Cumbria and the North of England. 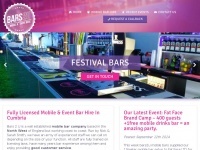 We offer festival bars, wedding bars and bars for corporate events. 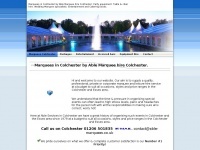 Marquees-colchester.co.uk - Mar­quees Colchester - Mar­quees in Colchester by Able ..
Bottomsupmobilebars.co.uk - Bot­toms Up Mobi­le Bars - Specia­lists in In­door and ..
1stclasscaterers.co.uk - Mobi­le Cate­rers Lan­cas­hi­re, Bur­ger Van Cor­pora­te, ..
Allnationslimousines.co.uk - All Na­tions Limousi­nes - Limousi­ne Hire 10,12,14,16 ..